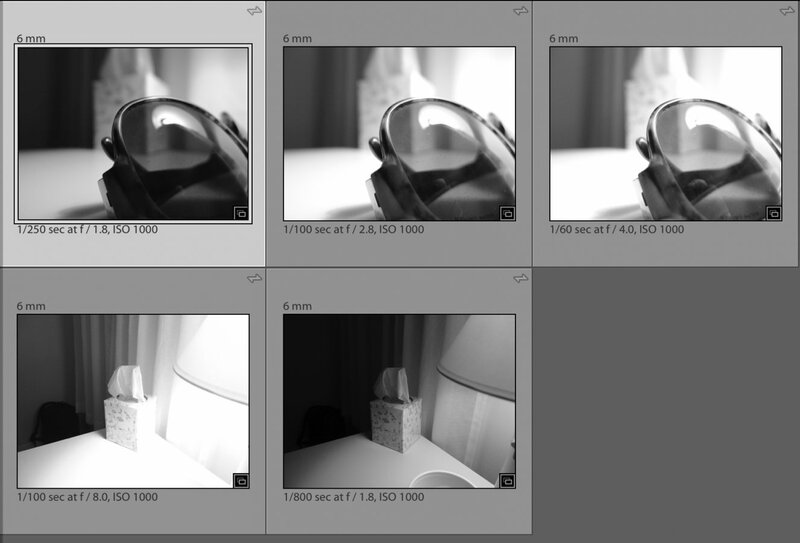 MX-1 overexposure at higher f-stops-- sticky aperture? I just received a minty clean MX-1 in the box with 650 clicks from Japan (eBay). I noticed that when focusing at a high f-stop, the preview image sometimes appears "blown-out" and completely overexposed. I snap the photo and upon review it is properly exposed. OK, weird quirk methinks, but if this is normal then I could live with it, I suppose. I tried some longer exposures (1-2s) at f8 and all of my images were overexposed, I even tried different metering modes with the same results, so I then experimented with a series of shots from starting at 1.8 and stopped down from there. I've attached a screenshot from LR to show the metadata which it illustrates my findings. Am I missing something or is my MX-1 faulty? Thanks in advance for any insight! Have you examined the scenario with other lenses? You can also test the lens itself. Stop it down and actuate the aperture lever on the back quickly and see if the blades are slow/sticky. Nevermind, didn't know the MX-1 was a compact. Sorry. Maybe try taking some small-aperture photos looking down the barrel and watch if the blades stick? This was really common for me when I was into Minolta lenses in a big way. Thanks, Turbotak. Yes, I reached out to a kind forum member who had the same issue a while back (unresolved) whom suggested that I return the camera. I had a DA40 with a sticky aperture which delivered the same kind of over exposures this MX-1 is making until I had that lens CLA'd. All times are GMT -7. The time now is 09:56 AM. | See also: NikonForums.com, CanonForums.com part of our network of photo forums!